 Mouse anti Human Interleukin-6 antibody, clone B-E8 recognizes human interleukin-6 (IL-6), a cytokine and potent inducer of the immune acute phase response. Recombinant full-length human IL-6 expressed in E. coli. Spleen cells from BALB/c mice were fused with cells of the mouse X63 Ag8.653 myeloma cell line. 2The epitope recognised by this antibody is reported to be sensitive to formaldehyde fixation and tissue processing. Bio-Rad recommends the use of acetone fixation for frozen sections. Lu, Z.Y. et al. (1993) Overall interleukin-6 production exceeds 7 mg/day in multiple myeloma complicated by sepsis. Wijdenes, J. et al. (1991) Human recombinant dimeric IL-6 binds to its receptor as detected by anti IL-6 monoclonal antibodies. Mol. Immunol. 28: 1183 - 1192. Dechaud, H. et al. (1998) Evaluation of endometrial inflammation by quantification of macrophages, T lymphocytes and interleukin-1 and -6 in human endometrium. J. Assist. Reprod. Genet.15: 612 - 618. Kimoff, R.J. et al. (2011) Increased upper airway cytokines and oxidative stress in severe obstructive sleep apnoea. Eur Respir J. 38: 89-97. Przemioslo, R.T. et al. (1994) Raised pro-inflammatory cytokines interleukin 6 and tumour necrosis factor alpha in coeliac disease mucosa detected by immunohistochemistry. Srivani, R. et al. (2003) Molecular logistics of cytokines in cervical cancer.